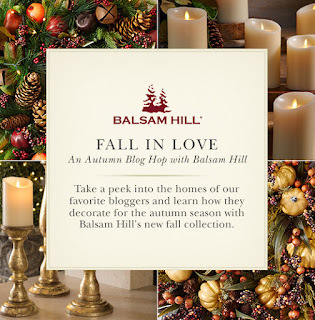 Have you noticed that I tend to lean towards the softer side of autumn? 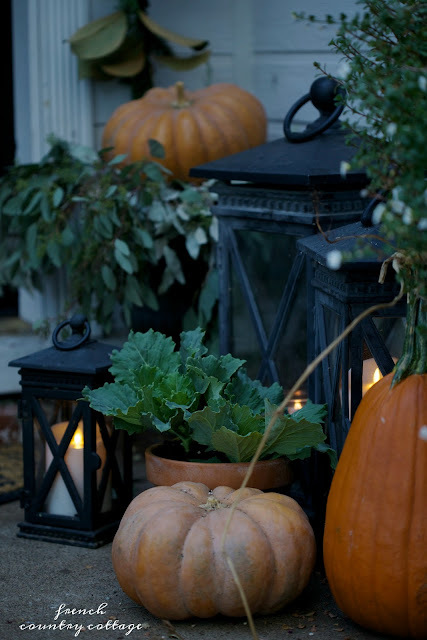 Those chalky muted orange and blue /gray pumpkins speak to me. And so does simple softer color greenery. it is no different that the look that you will find just inside the door. 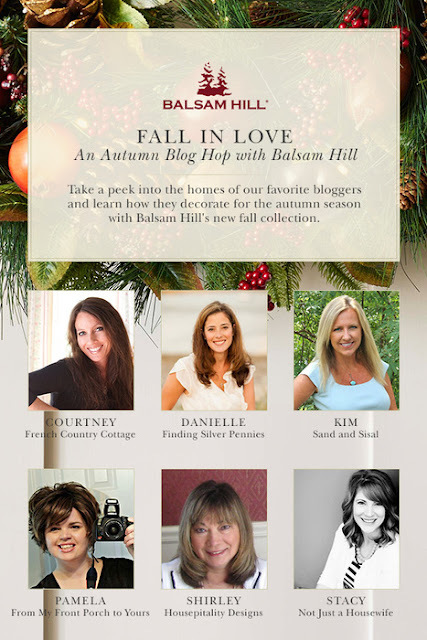 and I am excited to be sharing a fall look and kicking off a 2 day hop with Balsam Hill. 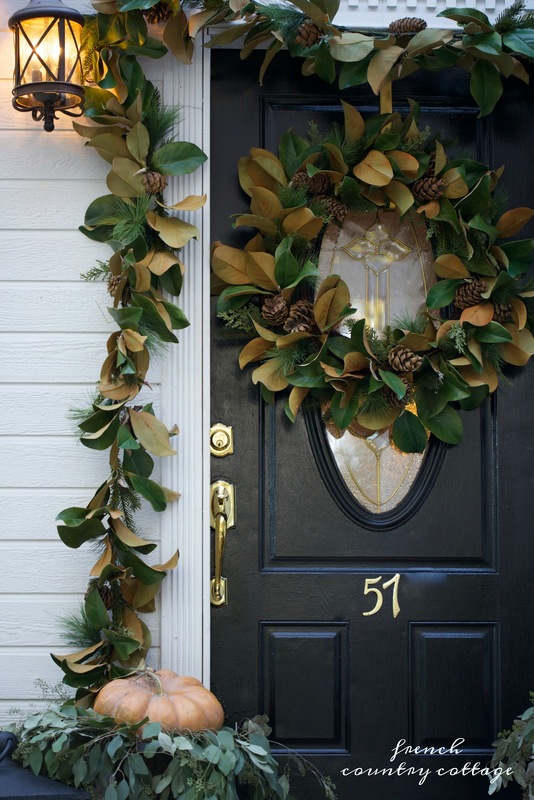 started with a magnolia wreath and magnolia garland. 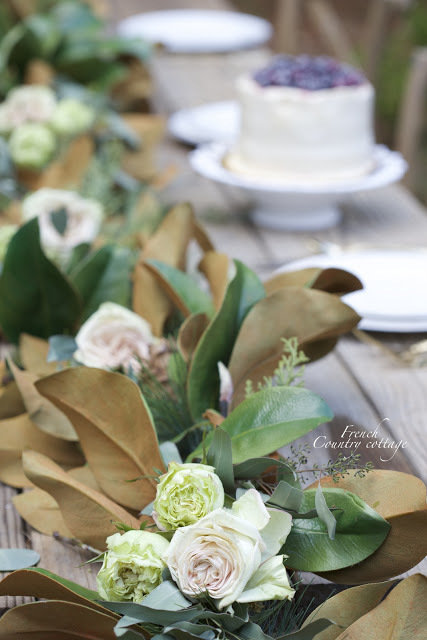 I have a huge crush on magnolia clippings. magnolia is perfect as well. 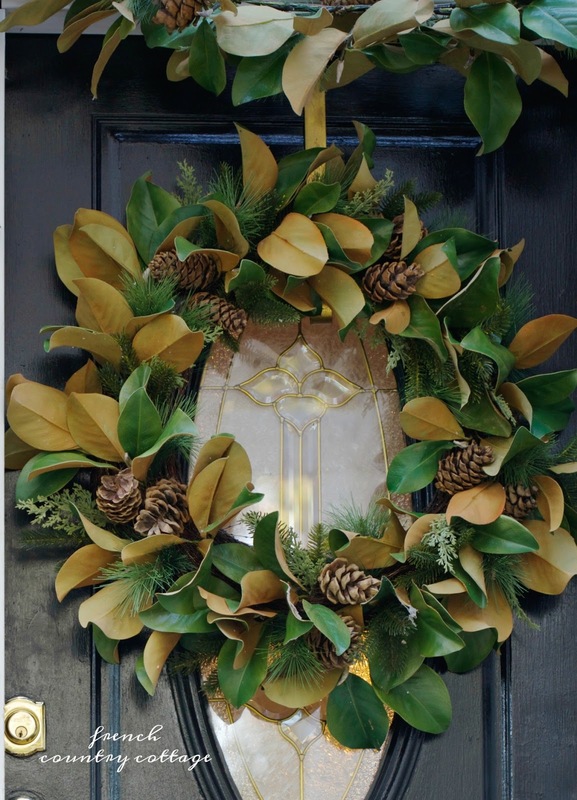 and then placed a wreath in the center. The best thing about magnolia for autumn? it is perfect for Thanksgiving and for Christmas as well. you can get a new look with very little work or expense. brown sides of the leaves in the garland. Fill existing pots and planters with greens and pumpkins for a charming look. 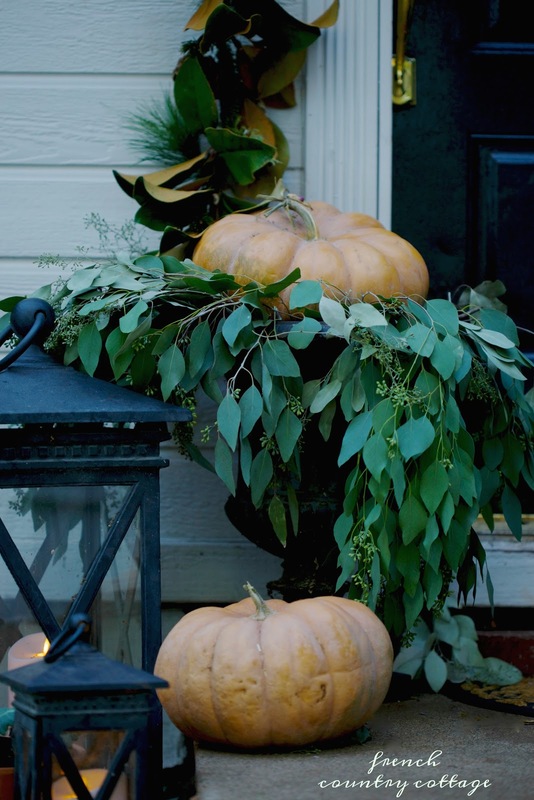 I just layered them with eucalyptus and placed a chunky pumpkin on top. 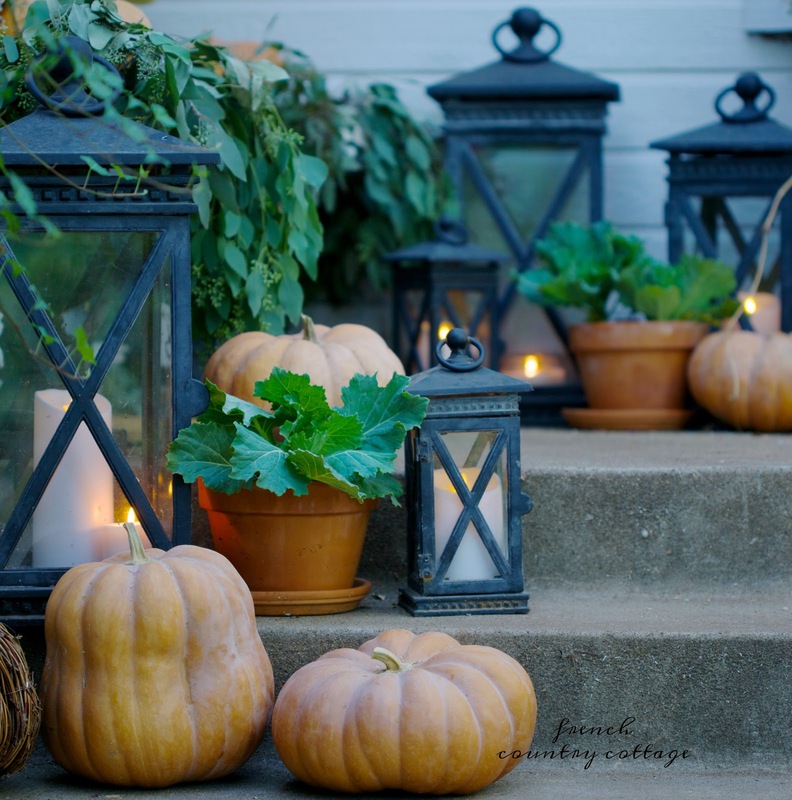 several of my favorite lanterns mingle with potted cabbage. These cast iron Candela lanterns always speak to me. On the table, on the rock steps in the back yard, and on the porch. you will see them popping up often over here. 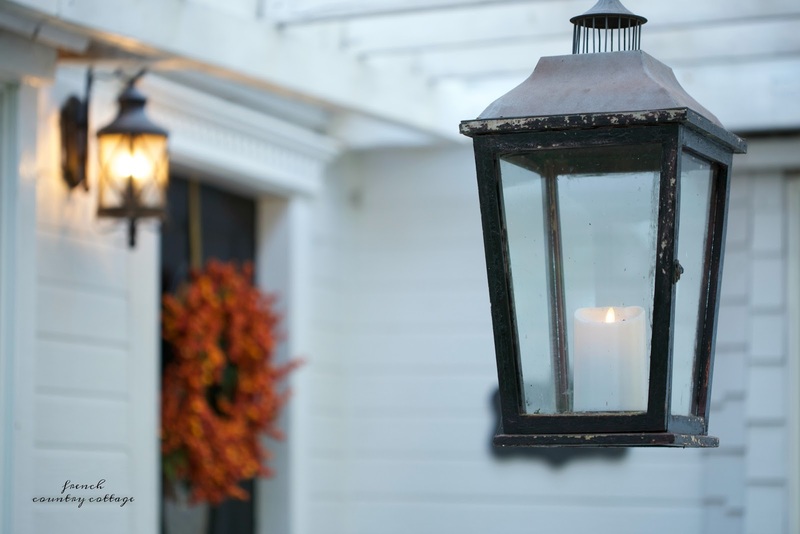 And for safety and ease- I like to use the outdoor Miracle Flame LED candles inside of them. 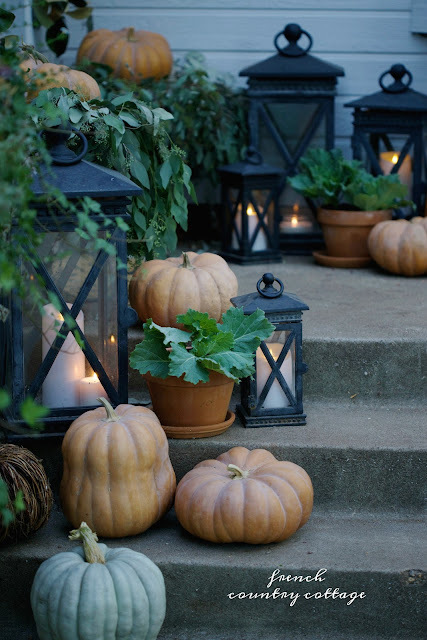 They flicker like a real candle and add ambiance- but without any worry about leaving them unattended. with changing just 2 things. That will be coming your way tomorrow. 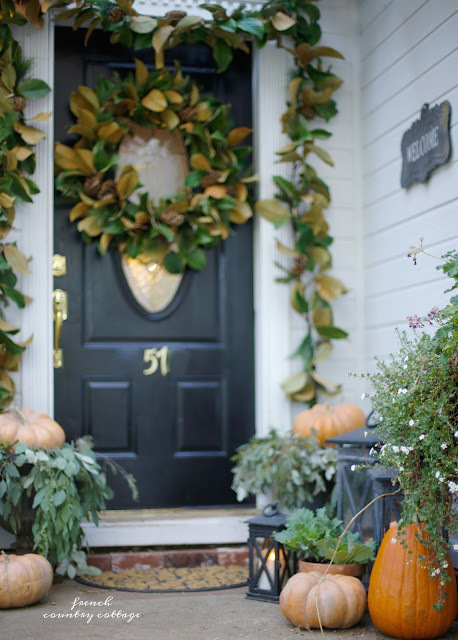 Click on over to see Kim's porch- which is looking so gorgeous! Happy first day of autumn everyone!! I work with Balsam Hill as their ambassador but all opinions, styling and crazy big love of those metal lanterns, magnolia leaves and all things Christmas~ are my own. Dreamy and beautiful! My kind of style. Have a wonderful dreamy day! This porch is exactly what the title says, simple, elegant autumn. Magnolias are my favorite. When I moved to North Florida years ago from South Florida, the one thing I wanted in my yard was a Magnolia tree...the whole tree is gorgeous from the shiny velvet leaves to the blooms. 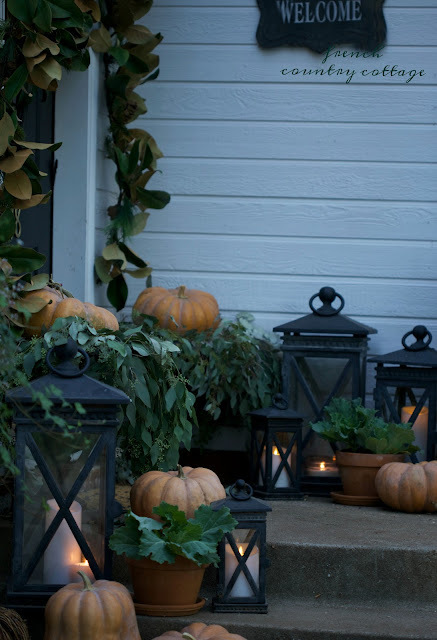 Love your porch styled with Fall perfection. So wonderful to be joining you with Balsam Hill. I just adore this! I too gravitate to more "neutral" fall with white pumpkins and greens, and occasionally a muted Cinderella pumpkin. 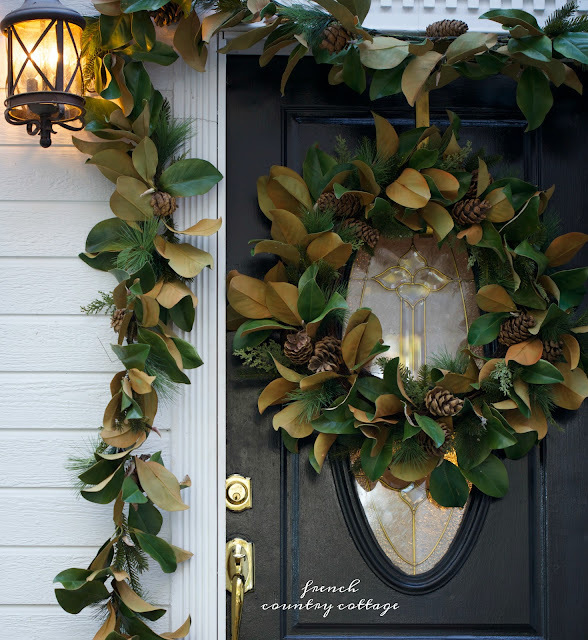 And I love the wreath - gorgeous! I especially love that your porch is understated and not over the top. Beautiful in it's simplicity. I love everything about this. That wreath is perfect. And I'd love to find those pumpkins around here somewhere. All I've seen are the bright orange ones. Happy Autumn to you too! 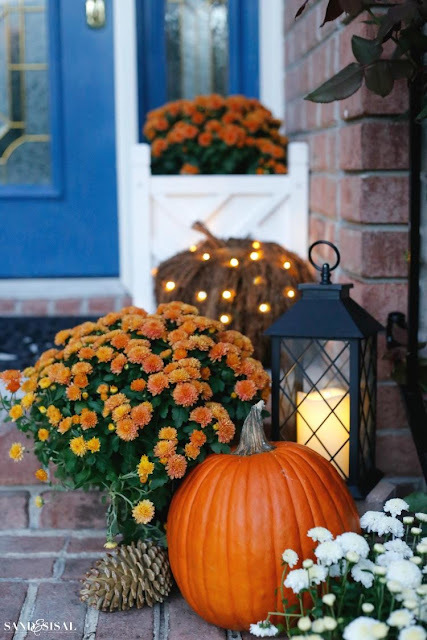 A beautiful front porch, very romantic and has a quiet way of welcoming Fall. 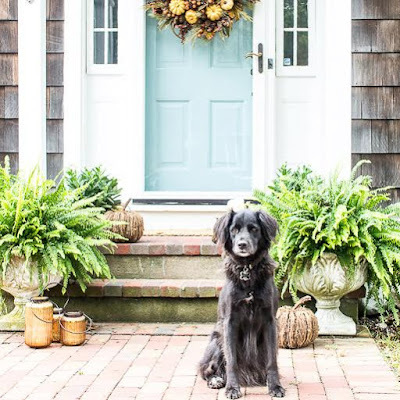 Your porch is so YOU! Absolutely beautiful! Courtney your outdoor entry area is just simply stunning! You always add such magic in everything you do. Thank you for asking me to be a part of this wonderful group of ladies. Hope you have a great weekend my friend!